One of the biggest fears that parents of deaf children have, when they find out their child has been identified as deaf, is that they will never be able to have a job. That misconception can be quickly dispelled by looking at the range of careers that deaf adults have successfully forged including GPs, lawyers, teachers, chefs, and so on. 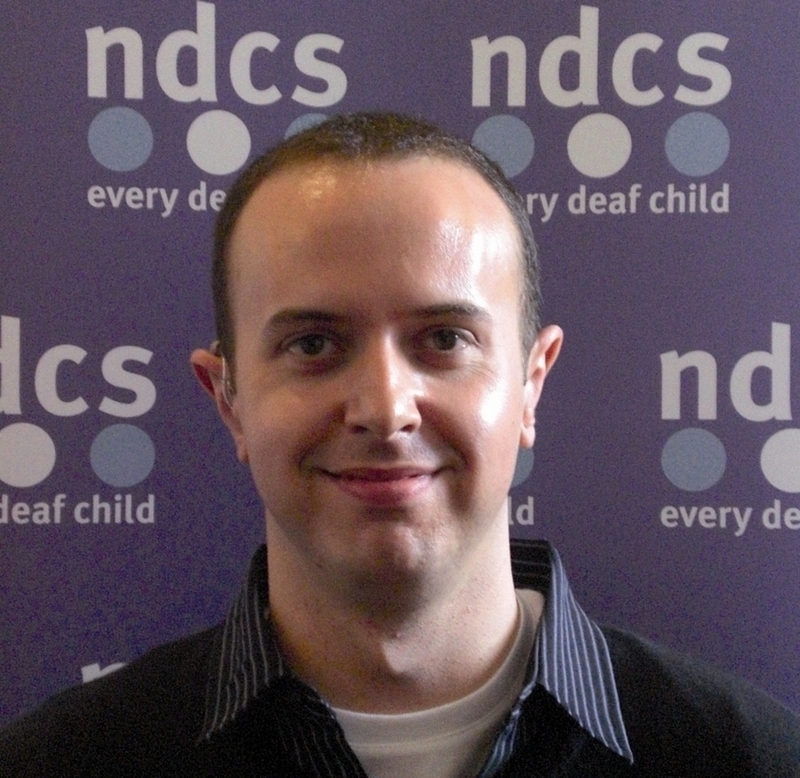 Deafness in itself is not a learning disability and, at the National Deaf Children’s Society (NDCS), we firmly believe that, providing deaf young people get the right support, there should be no limit to their ambitions and aspirations. For many deaf young people that support is provided through ‘Access to Work’. Often described as the government’s ‘best kept secret’, this is a scheme that offers funding to disabled employees to cover the costs of any support they might need as a result of their disability. Deaf people may use this support to fund sign language interpreters or ‘speech to text’ notetakers, who capture word for word dialogue in meetings. The government has set itself a target to halve the disability employment gap over the course of the next parliament. Access to Work support will be central to meeting this target. However, there are plenty of indicators that the Department for Work and Pensions, which runs this scheme, may well fail in this endeavour unless they rethink their approach on how this scheme operates. Firstly, it is not yet clear if the government will increase funding to the scheme. In 2013/14, the budget stood at £108m, slightly up from £105.5m when the coalition government came into power in 2010. Unless the government provides additional funding, it seems clear that the only way they can provide support to more disabled people is by squeezing the support provided to existing users. 1) Civil servants have failed to do any cost benefit analysis of Access to Work. There is a real risk that deaf people might lose their jobs as a direct result of the cap. It is not unreasonable to assume that the government saves more from having disabled people in work, paying taxes and not living on benefits, than it spends on Access to Work. Yet this government has no idea whether or not this cap will actually save money. 2) The government has not considered the impact the cap will have. It has failed to do any kind of public consultation or even to engage with the people who will be affected or their employers. A general commitment to “monitor the impact” will be of little help to any disabled person who loses their job as a result of the changes. 3) The cap punishes deaf people for the cost of communication support, something they have little control over. The government could have chosen to invest in a training and recruitment programme for communication support professionals. To date, the government seems content to leave it to the ‘market’ to resolve the current shortage of communication support professionals. 4) The government says that a cap is needed to save money. But, as Limping Chicken has recently revealed, there is actually an underspend of £3m on the overall Access to Work budget. So why is the axe falling on deaf people who may need more support? Official policy and written ministerial statements tell only half the story, however. On the ground, NDCS regularly comes across stories of Access to Work advisers trying to reduce support packages. Some of these examples are documented in a blog by Charlie Swinbourne for The Limping Chicken website, which suggests that some deaf young people are being ‘bullied’ by Access to Work officials, rather than supported in their jobs. A timely demonstration of how ill-informed and poorly trained Access to Work advisers can be is the new interpretation of a rule, known as the ‘additionality’ rule, brought in earlier this year. This arbitrary decision saw advisers effectively telling employers they would be better off recruiting a hearing person because interpreters were effectively doing the deaf person’s job for them. The ill-judged interpretation was hastily withdrawn. It is sometimes hard to know if advisers are just badly trained or if there is a policy to make it as difficult as possible to claim support. For example, many deaf young people have, in the past, been told they cannot make a claim for Access to Work unless they call a designated telephone number. Civil servants seem oblivious to the communication needs of the very people they are publicly committed to supporting. The problems and issues have been noted by Parliament. A parliamentary inquiry last year received 340 responses following a call for evidence, including from the National Deaf Children’s Society and many deaf people themselves. The committee published its report in December last year. The report was scathing of the support provided, noting that some changes had “threatened the employability” of deaf people. However, despite three months to prepare a response before the election, the Minister, Mark Harper, broke a well-established convention by failing to issue a response to the report, citing lack of time. The same lack of time didn’t, however, stop his department from introducing new cuts to Access to Work in March 2015. In light of these failings, NDCS does not feel optimistic about the prospects of deaf young people entering the workforce. The Department for Work and Pensions reassures us that steps are being taken to improve customer service. But it remains difficult to see how deaf young people are expected to navigate the Access to Work process. Many of the deaf young people we work with are unaware of the scheme or the different types of support for which they are eligible. If Access to Work was working well, there would be an extensive outreach programme for deaf young people leaving school. An advisor would support them with their application, and perhaps allow them to ‘test’ different packages of support. Instead, they are likely to be issued with a blunt demand to prepare a ‘support log’ of the work they will be doing over the coming months – a tall order for anyone, especially one starting a new job. They are then forced to accept or negotiate an inflexible package that may or may not meet their needs. Access to Work is also still unavailable for unpaid and informal work experience opportunities even though – rightly or wrongly – these are a vital step on the career ladder. And what of those deaf young people who need ongoing regular support in order to thrive and prosper at work? The cap has sent them a very clear signal – to cap their aspirations and settle for something beneath their hopes and expectations. This is not the message any government should be sending to deaf young people or their families. Last September, the Children and Families Act 2014 came into force, heralding big changes to how children with special educational needs (SEN) will be supported in education. The Department for Education made a big promise that no child would lose out of support as a result of these changes. One would therefore expect that the number of children getting legal statements of SEN or Education, Health and Care plans to have remained fairly stable over 2014. Instead though, new figures suggest a 6.8% drop in the number being issued over 2014. 20 local authorities have seen reductions of 30% or more. Education, Health and Care (EHC) plans are replacing statements of special educational needs (SEN). They’re both legally binding documents which set out the support that a child with SEN may need to achieve their potential. EHC plans are intended to be an improvement on statements by ensuring more joined-up support. EHC plans are also available for children and young people up to the age of 25. All statements must be converted to EHC plans by April 2018. The Department for Education suggest that the decline is partly due to ‘non-statutory’ EHC plans being introduced by pathfinders. These pathfinders are local authorities which volunteered to try out the changes in advance and were able to issue non-legal plans to see how they worked. We took a closer look at the stats to see if this was a potential explanation. But actually, when we stripped out the 31 local authority pathfinders, we found that there was still a 6.3% decline across all other local authorities. One of NDCS’s biggest concerns from the start was that, whilst many of the changes might be sensible, it was a bad idea to introduce these changes at a time of widespread spending cuts and before a proper system had been introduced to hold local authorities to account for not following the law around SEN.
An NDCS survey of parents of deaf children published in 2013 showed widespread concern about the reforms, with only 6% believing that the changes would lead to better support and 72% thinking the real aim was to reduce spending. Sadly, it now appears those concerns may be justified and, unless swift action is taken, promises to ensure no negative impact from these changes are at risk of being broken. The Government in England last week announced a public consultation on proposed changes to Disabled Students Allowance (DSA) – which provides support to disabled students at university – after spending the best part of the past year resisting any attempts to engage more widely with disabled students. Those with long memories will remember the campaign victory that Zanna, a member of the NDCS Young People’s Advisory Board, achieved earlier this year, when she took legal action against the Government over its failure to consult with disabled students on changes to DSA. At the time, the Government agreed it would postpone its changes but didn’t concede that it was ever wrong that it attempted to force these changes through and consult only with selected stakeholders behind closed doors. Though the legal action never had its day in court, the judge that gave the case permission to proceed commented that she was “not impressed” with the government’s arguments that it had no obligation to consult. Happily, it now appears as if the Government has seen sense. In a debate last week, the Minister made a passing reference to plans to carry out a public consultation on its proposed changes. NDCS remains concerns that the proposed changes will mean that deaf students would be more reliant on universities to provide any support they might need. We believe that the changes shouldn’t go ahead until proper safeguards are in place to make sure that no deaf students are abandoned without the support they need. It’s hoped that a public consultation will reveal the scale of these concerns but also hopefully prompt some constructive suggestions on how universities and DSA can better support deaf students. NDCS remains extremely proud of Zanna, a member of the NDCS Young People’s Advisory Board, who had initiated the legal action. She has sent a strong signal to the Government that no changes that affect disabled people should be made without their involvement. It remains a disappointment that it was necessary for Zanna to take legal action to force the Government to listen. It’s still obviously not quite the end of the story. When the consultation comes out, we’ll need to send a strong signal to the Government that it must ensure that deaf students aren’t disadvantaged by these changes. But the announcement of a public consultation gives us a chance to make the case. It also shows the difference that using the law to protect services can make. What are the parties promising to do to improve audiology services for deaf children? We’ve been taking a look at the manifestos to see what the parties are pledging to do to support deaf children. Each of the manifestos make a range of pledges in relation to health. But the bad news is that none of the manifestos contain any specific references to audiology services for deaf children. This blog sets out other, wider, changes that may impact on deaf children. The Chief Executive of the NHS has said that the NHS needs £8 billion of funding in the next five years to make sure it can continue to meet patient’s needs. The Conservatives, Liberal Democrats and the Green party have said that they will provide this funding. UKIP have pledged £3bn. Labour have said they will provide funding of at least £2.5bn. Many of the parties have been arguing with each other on how realistic their respective NHS spending pledges are. How the NHS is funded will obviously have a knock on impact on audiology services. In an earlier blog, we mentioned there are increasing concerns over whether those audiology services are doing everything they should to ensure deaf children get the best possible support. NDCS’s Listen Up! campaign found that 1 in 3 audiology services were failing to meet basic government standards. On top of that, NDCS is increasingly being contacted by parents saying that they are noticing cutbacks in audiology ranging from having to wait long times for ear moulds or delays in diagnosis, to being denied funding for specialist auditory implants. Even small things, like offering coloured earmoulds are being cutback, even though this can really encourage deaf children to wear their hearing aids and make the most of their hearing. All parties have pledged to ensure health and social care work more closely together, which could lead to better more joined up support for deaf children. Labour have said they will ensure there is a “sensible commissioning framework” in place but it’s not clear what this might mean in practice for audiology services. Both the Conservatives and the Green party say they will improve transparency. It’s not yet clear if this means that they will ensure that parents of deaf children have more information about the quality of audiology services. Labour have pledged to provide disabled people with a personal care plan, the option of personal budgets and a single named person to co-ordinate their care. It’s not yet clear if this will also apply to disabled children. The above is a very general summary of the pledges and we’ve only highlighted those that we think are most directly relevant to deaf children. We’ve included links to the manifestos above if you’d like more information about what each of the parties are proposing. Don’t forget, if you want to find out more about what the parties are proposing, you can ask your prospective parliamentary candidates. They need your vote and hopefully will be responsive to any questions you might have! Ask your candidates what they know about deaf children and call on them to protect the services that they rely on in the next Parliament. The Your Next MP website has information on the candidates in your area and our website has more information on the election, including a detailed election factsheet. What are the parties promising to do to help deaf children in education? Last week, we took a look at the government’s record over the past five years. This week, we’ve been having a rummage through the manifestos from each of the main political parties to find out what are each of the main parties promising to do – if elected – in relation to education, health and welfare and how might this impact on deaf children? This blog kicks off with education. The Conservatives have said they will protect funding for schools on a per pupil basis. This means that, if the number of pupils go up, schools shouldn’t lose out. But it also means that schools might get less money in real terms if inflation goes up. It also means that funding for early years education and post-16 is not protected. Both Labour and the Liberal Democrats have said they will protect all education funding in real terms. This means that if inflation goes up, early year settings, schools and post-16 colleges shouldn’t lose out. But, if the number of pupils goes up – which it is expected to do in schools by 7% – then education settings won’t get any extra money to cover this increase. The Green party has said it will restore education funding to 2010 levels in real terms. UKIP make no specific pledges on education spending but their manifesto indicates they wish to reduce government spending overall. Over the past five years, schools funding has been protected by the Government. However, as the NDCS Stolen Futures campaign has found, this protection hasn’t been carried through at a local level. We’re disappointed that none of the manifestos contain any real pledges that would ensure that local authorities will be held to account if they fail to protect funding for vulnerable learners, such as deaf children. The Conservatives make no new specific pledges in relation to SEN but highlight that they have created 2,200 more special schools places through their free schools programme, introduced a new coordinated assessment process to determine a child or young person’s needs (known as Education, Health and Care needs assessments) and have asked Ofsted to formally inspect local areas for their effectiveness in fulfilling their duties to children with SEN and disabilities. The Liberal Democrats have pledged to improve the identification of SEN and disability at the earliest possible stage. They have also pledged to enshrine the UN Convention on Rights of Child into law. This could potentially provide deaf children with a range of new legal rights. Labour have said they will improve training for mainstream teachers on SEN and disability. UKIP state that they will reverse any policy of closing special schools. NDCS is keen to see Ofsted take a role in inspecting local authority education services for deaf children to make sure deaf children are getting the support they need. A consultation is expected after the election – but it’s not yet clear if Ofsted will take a more detailed look at provision for deaf children, or just look at SEN in general. The Liberal Democrats appear to be the only party to make reference to Disabled Students’ Allowance – which provides support to deaf students in university and which the current Government is proposing to cut back. The Liberal Democrats pledge to ensure students with disabilities receive appropriate support in their university studies, and to review the impact of any recent changes. The Labour party disability mini manifesto indicates that they will ensure that young disabled people have the same chances as non-disabled people to study for the vocational or degree qualifications.